During the holidays, we had lots of family parties and dinners with work and friends, which means that we probably ate a little bit more than we should have. In addition, we were blessed to have a lot of people bring us cookies and other treats during the holidays that we just couldn’t resist :). Now that the new year has begun, it is important to start making better, more healthy decisions. One way that I plan on doing that with my family is by making sure that we have a great breakfast to start our days – like these Homemade “Honey Bunches of Oats” Waffles, which have Post Cereals Honey Bunches of Oats Honey Roasted cereal included in the batter! Growing up in Mexico, breakfast was always one of the most important meals of the day. I don’t remember even one day growing up where I did not have a delicious breakfast waiting for me before I went to school in the morning. My mama always put an extra focus on making sure that we got all of the nutrition that we needed. I am so grateful for her dedication in making sure that my siblings and I were always fed a good breakfast to start out our days right. Having three boys now of my own, I am trying to follow my mama’s example. It can definitely be hard in the morning with so many things to do, but I know that in the end my boys will thank me for making sure that they always started out their days right. Even though it can be hard to find time for breakfast, we are fortunate enough to be able to go to the store and buy great products that we can use for breakfast and that have the nutrients that my boys need. 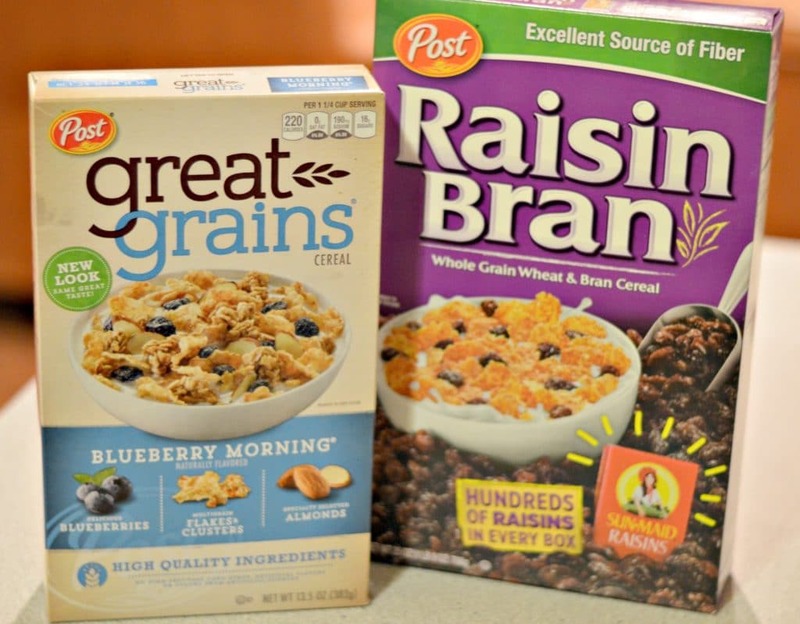 One of my products of choice are Post Cereals, like Post Cereals Honey Bunches of Oats Honey Roasted, Post Cereals Great Grains, and Post Cereals Raisin Bran. 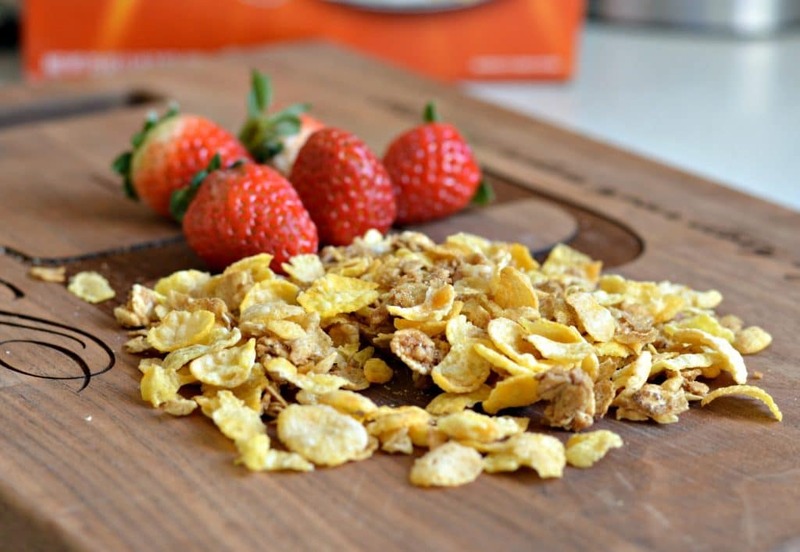 Post Cereals have whole grains that are packed with nutrients, including protein, fiber, B vitamins and antioxidants which make them a great choice for breakfast. 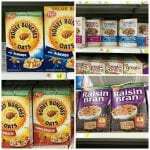 You can find all of these cereals in the breakfast aisle at Walmart. Even though you can have a great breakfast by eating Post Cereals on their own, I also like to incorporate them into recipes sometimes! My boys’ favorite breakfast is waffles. They ask for waffles at least 2 or 3 times per week, so I try to mix the recipe up a little bit so that they get some variety. 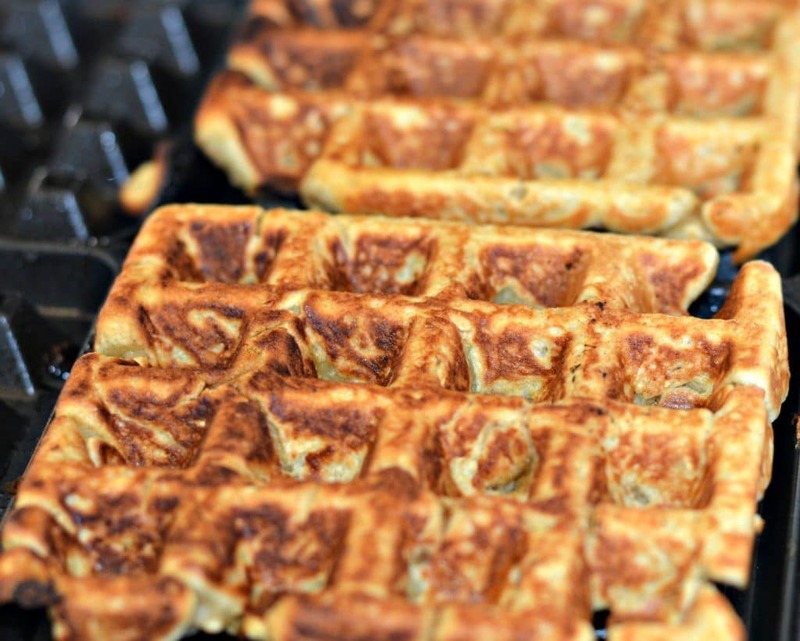 They used to eat a lot of frozen waffles, but I discovered that I could make them even better and more healthy by making them from scratch. 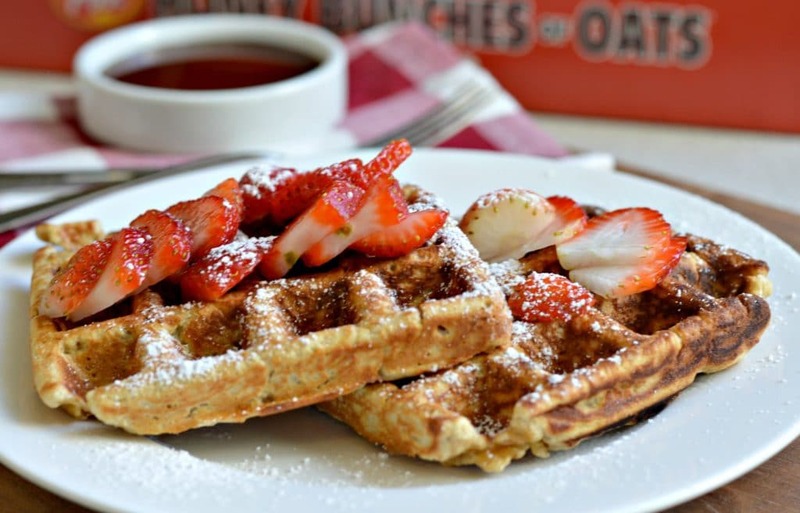 For this recipe, I decided to use Honey Bunches of Oats in the batter to give these waffles extra crunch. 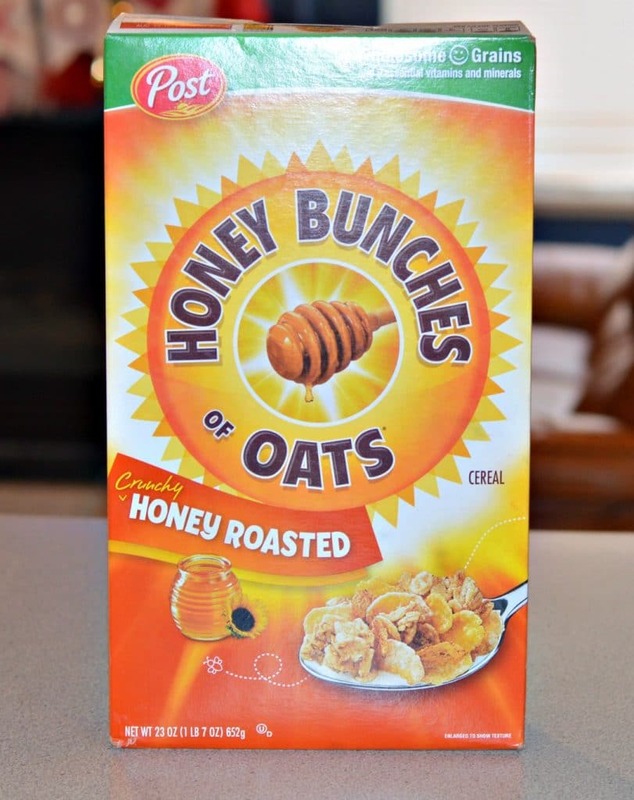 Honey Bunches of Oats is one of my favorite cereals – it has four different types of grains: rice, wheat, oats, and corn. As a bonus, it is very heart healthy with 0 grams of trans fat, saturated fat, and 0 milligrams of cholesterol per serving. 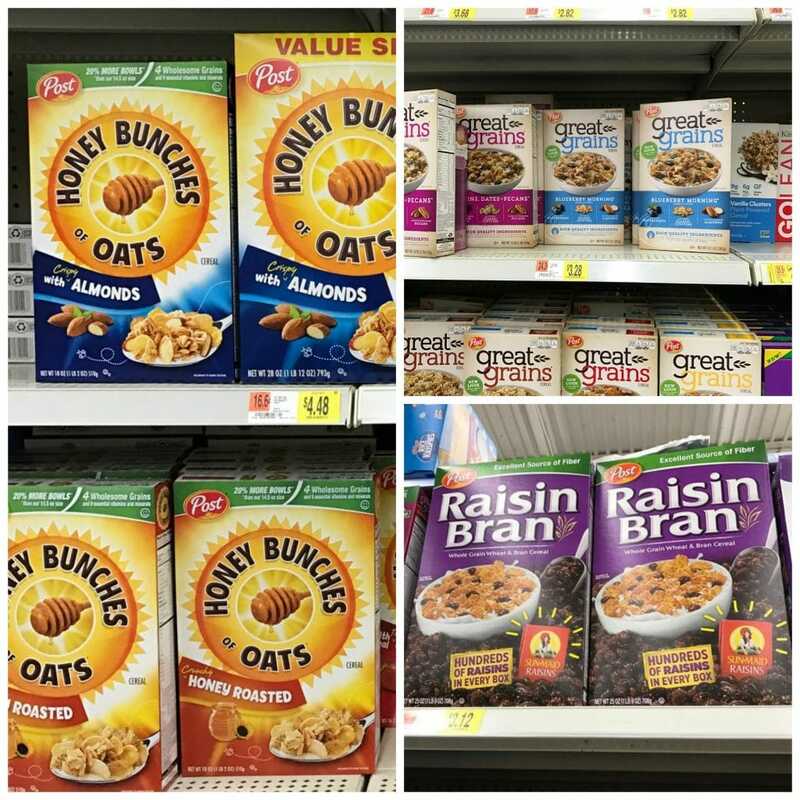 In addition to the Honey Bunches of Oats, this recipes includes apple sauce, quick oats, whole wheat flour, and almond milk. I have to tell you that my kids (who can be pretty picky) love these and are always asking for more. 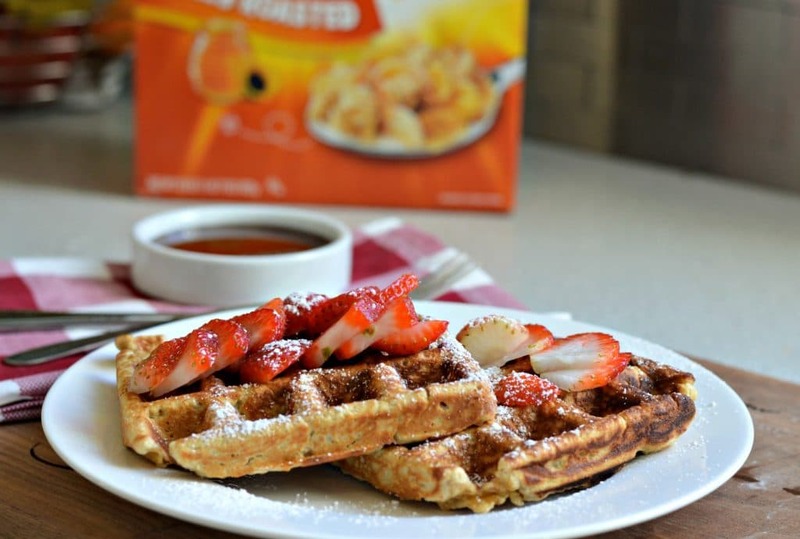 After blending all of the ingredients together, all you have to do is put in your waffle maker and cook them until done before topping with fruit and homemade syrup or honey. Even though I am living in the United States now, I love to remember my youth in Mexico, and making breakfast on a daily basis for my kids helps me to do that. I am excited to try many more breakfast recipes this year and to eat healthy throughout the year. What are some ways that you are eating healthier this year? Cook using your waffle iron according to its instructions. Serve with fresh fruit and syrup or honey.